Crate repair is ideal in those situations where you push your crates too hard for many years, they may break or crack but still be very usable. Our facilities are equipped to repair damaged crates before they become irreparable. The crate repair service includes the collection of damaged totes or crates from the customer’s premises and their return once fixed. Any totes or crates that cannot be economically repaired are responsibly recycled, so nothing is wasted. On average the cost of repairing and re-introducing the crates or totes back into your stock equates to around half that of purchasing new stock, thereby reducing overheads and the impact on the environment. If you have a large amount of crates that you no longer feel are up to your standards, that sit unused in your warehouse – it may work out cost effective to repair them, to give them a new lease of life and get them working for you again. Crate repair to the rescue. There are crates and totes out there that are almost twenty years old; they may look a little worn and faded but are still a viable product with years worth of work left in them. 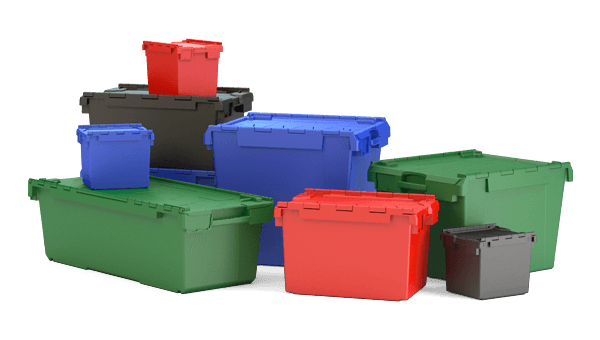 Our crates are made from high-quality polypropylene; this is such a strong and sturdy material that our crates and totes are designed to last for years eventually, though, they do succumb to damage and wear. Here at Advanced Crates, we try our best to be environmentally conscious; from our low-emissions trucks to our crates which we believe should be green. If you would like to expand your pool of crates, then you can buy new and used crates in our shop. The crate repair service includes collection of damaged totes or crates from the customer’s premises and their return once fixed. Any totes or crates that cannot be economically repaired are responsibly recycled, so nothing is wasted.